This 45 degree angular "Hockey Stick" style brush is filled with 100% specially blended black polyester for use with any paint. This brush is wonderful for use in hard to reach places including corners, behind and inside of machinery, duct and bridge work. 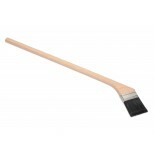 Each brush has a chisel trim to help apply paint in grooves, corners, angle welds and Etc. 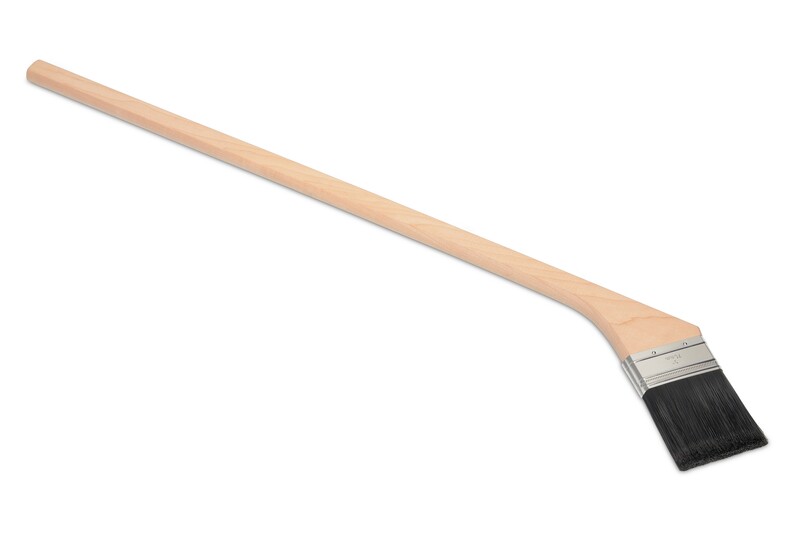 The hockey stick handle is made of high quality plain sanded hardwood. Overall brush length is approx. 35". They are also epoxy set to resist todays aggressive solvents.